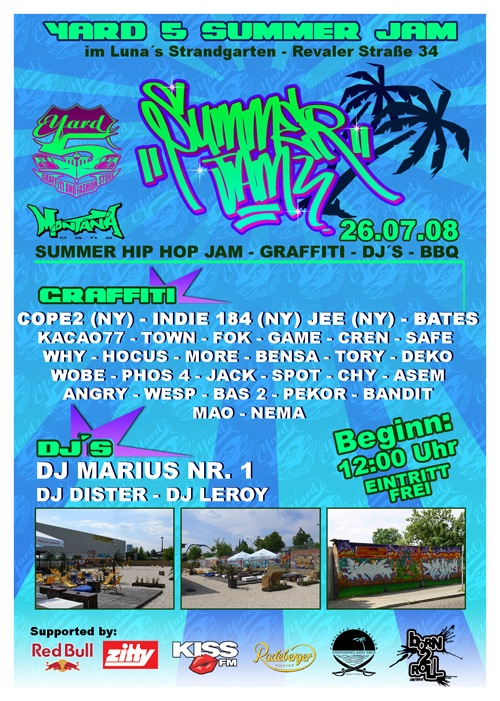 SATURDAY JULY 26 IT'S ON BABY...BERLIN CITY STYLE. THE YARD5 SUMMER JAM IS IN FULL EFFECT. FEATURING COPE2, INDIE, JEE, FOK, KACAO77, BATES, CREN, DEKO and many more! LET'S GET IT POPPIN'! SEE YOU THERE.